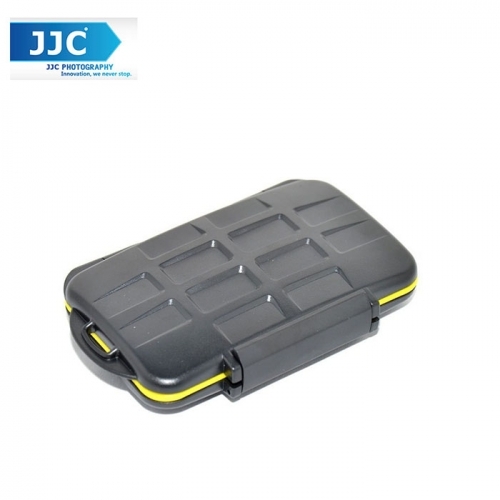 Rugged and waterproof memory card case from the JJC brand. Strong water-resistant polycarbonate resin case with rubber seal. With the JJC MC-SDMSD12 Memory card case you can keep all your memory cards in one place, knowing they are safe from dust, dirt, water, and anything else that might damage your memory cards.